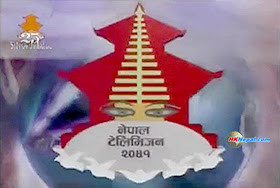 56 Responses for "NTV Daily Nepali News | नेपाली समाचार (Mar 02, 2014)"
It’s so sad to hear the lost of lives of Aamas who gave birth at the government run Prasuti Giriha where careless must have taken place by the staffs/doctors involved. The careless staffs/doctors have to be punished severely or their license be ceased in order to improve the services as a whole in government run facilities. I think that it’s the duty of every public to lobby for better service. hk basnu hune mera mama maiju,vai bahini haru sabailai miss gareko chhu. NISPAKSHA TATHA UTA KRISTA SAMACHAR KO LAG I KANTIPU TV LE JARIRAKHUN. but isaw nepali news likes only. i love looking kantipurtv.it is nice looking nepal trouth kantipur telivison.thanks so much,i will be giving my eye to kantipur tv. thank you. Wishing to all nepalis peoples very very happy dashain ! Jasle desh ra janataa ko kuvalo chhahannxa tesle yo desh maa rajnitik astirtaa ra asanti machchaauna pani paudaina. tesaile ti sabaile yo desh ma basne adhikar xaina. nepale sarkar le gareb ra beroj gar ko het ma kam garna parxa gasto lagxa.